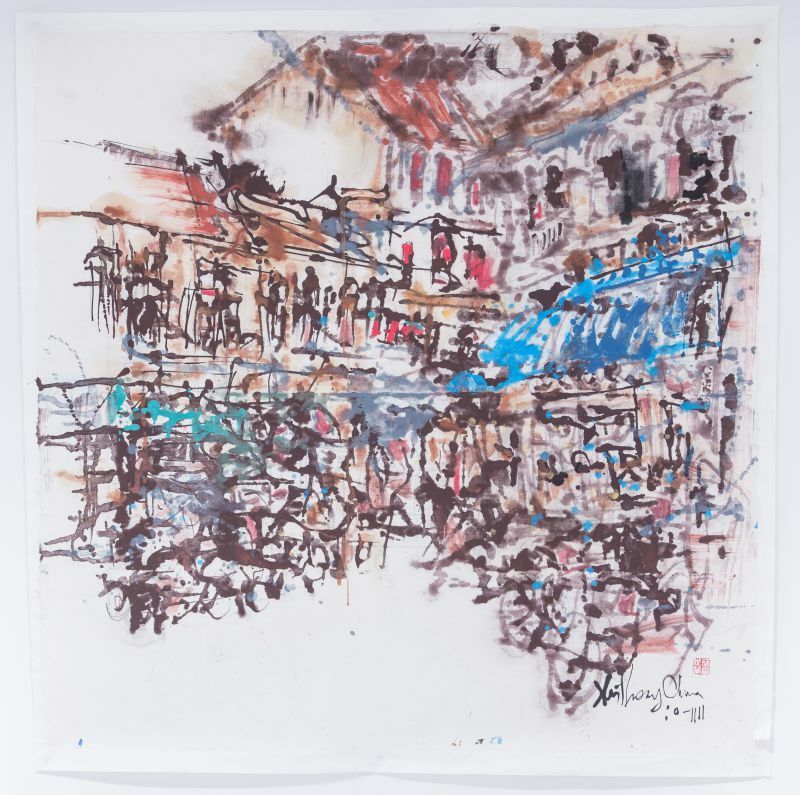 The 2001 Young Artist Award winner for Visual Arts, Anthony Chua Say Hua has been engaged in full-time art practice since 1996. 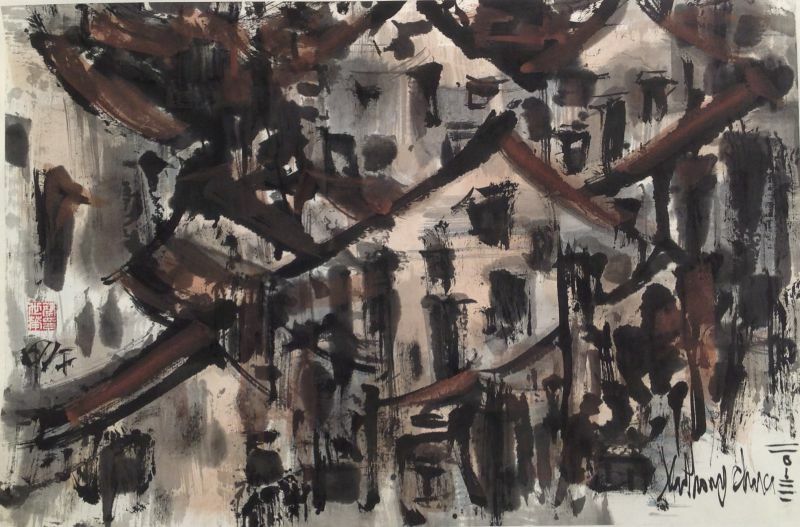 A Highly Commended winner of the recent UOB Painting of the Year awards this year, the art veteran has had numerous exhibitions in Singapore and overseas. 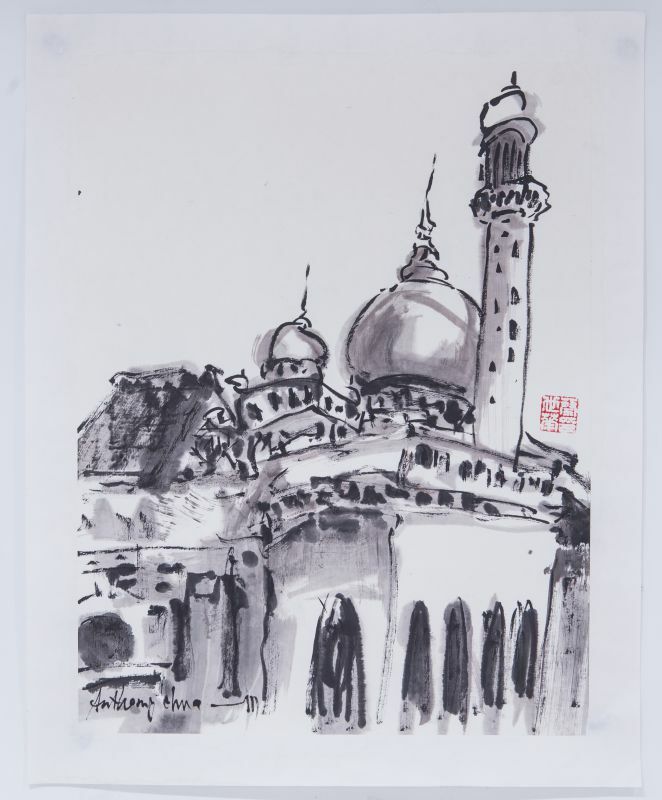 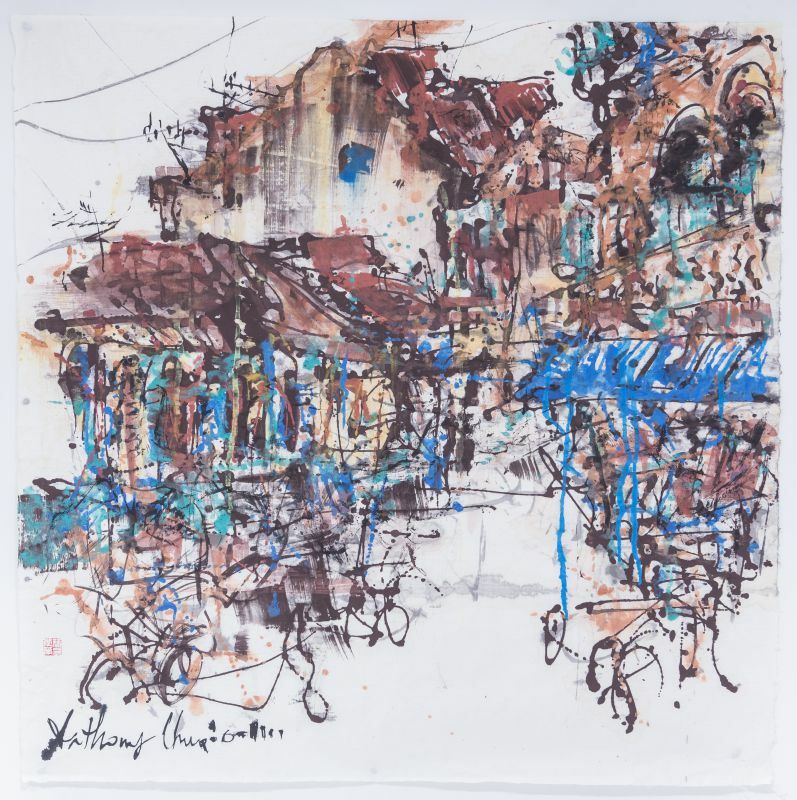 Graduating from the Nanyang Academy of Fine Arts in 1992, Lasalle College of the Arts in 1993 and Goldsmiths College, University of London in 1997, Anthony has straddled his art practices at the midpoints of Western and Eastern art ,combining best of the two cultures. 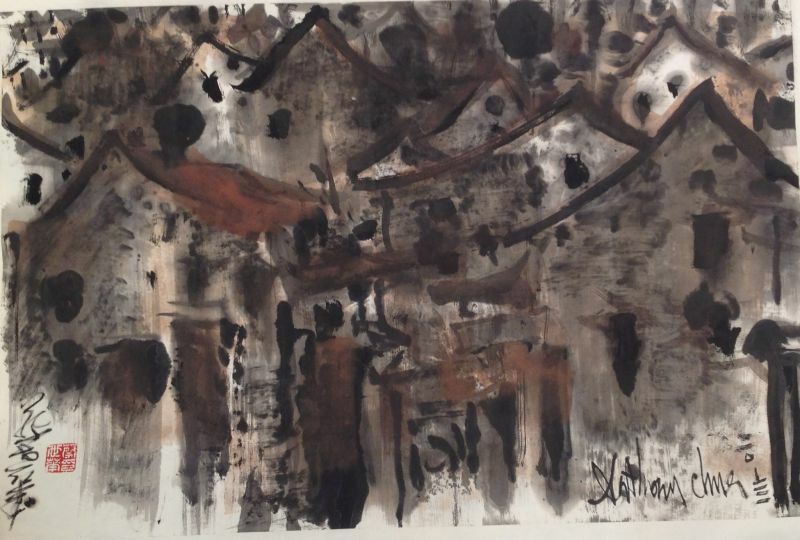 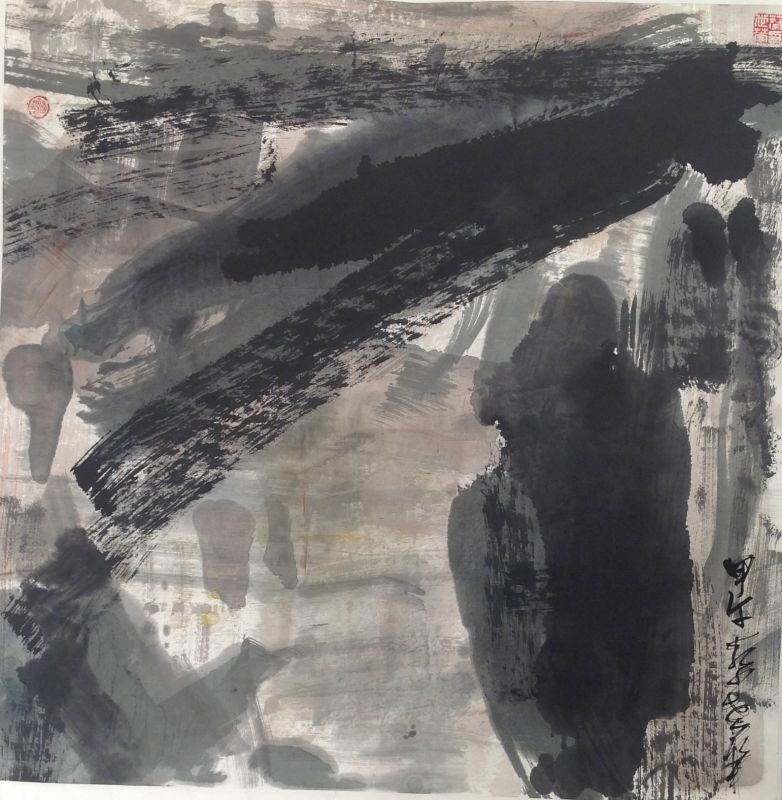 His unique contemporary Chinese ink paintings are informed in Western Modernist aesthetics whilst employing the logic and philosophy of the traditional Chinese ink painting medium. 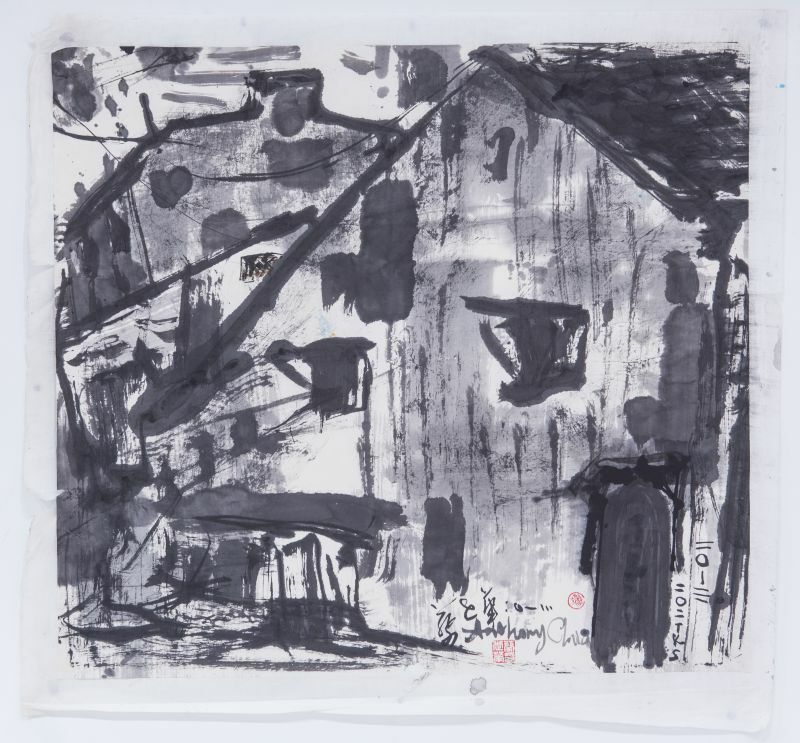 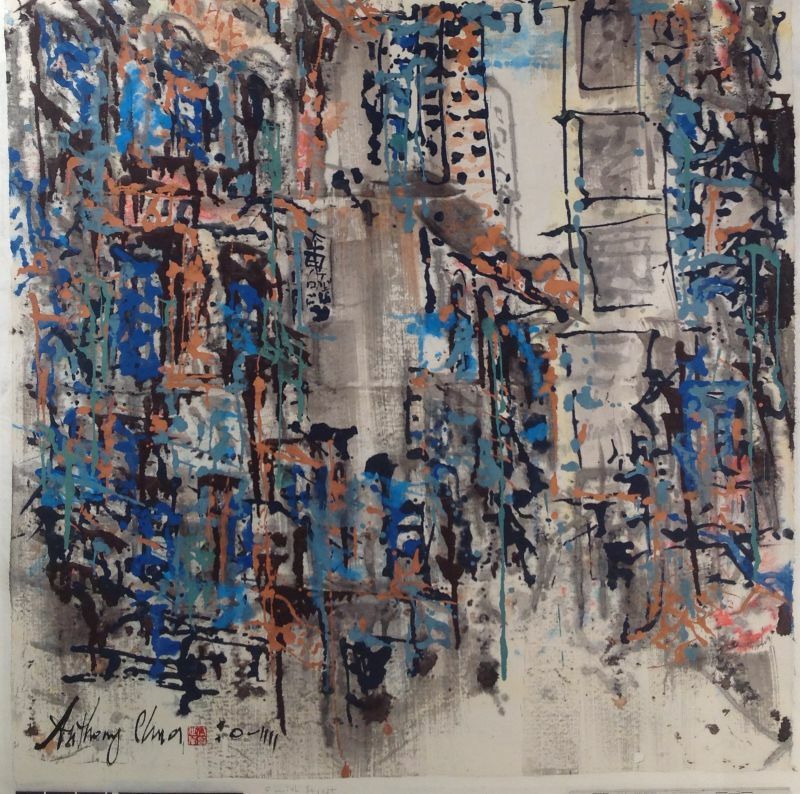 I work primarily with Chinese ink to create contemporary interpretations of modern subject such as urban landscapes, old buildings as well as abstract compositions based on nudes in my earlier “Nudes in Landscape” series, as well as recent ink field works which try to push the boundary of what ink-on-paper can create. 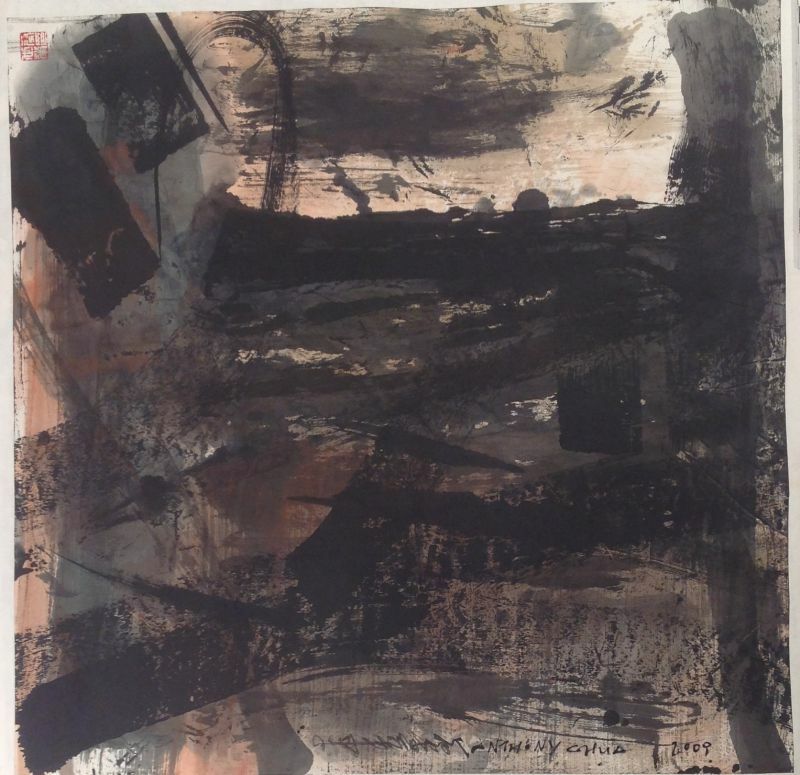 My paintings’ strength lies in the bold use of brush strokes with various effects created by different types of brushes such as the less conventional feather brushes. 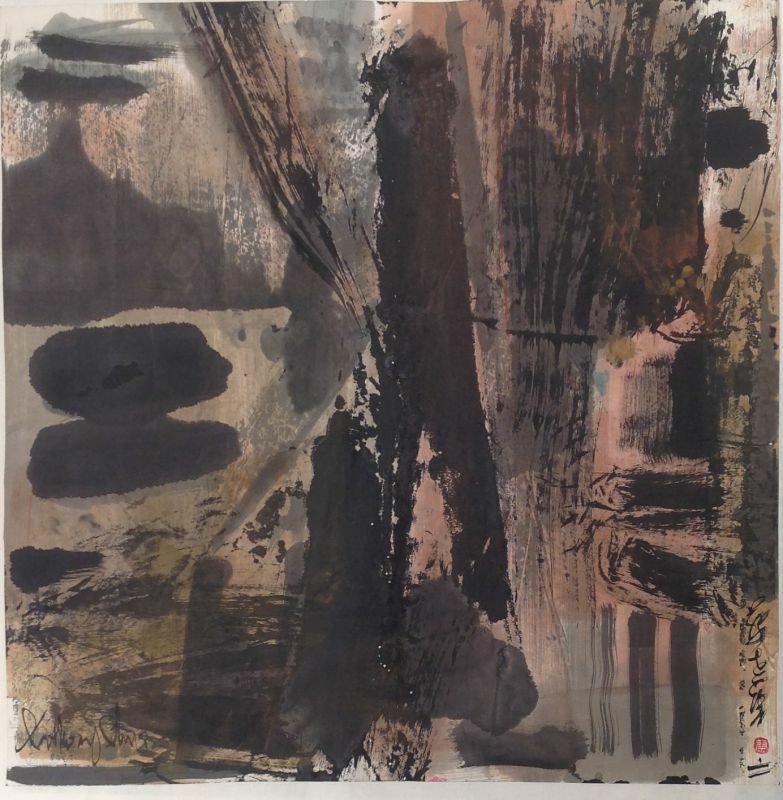 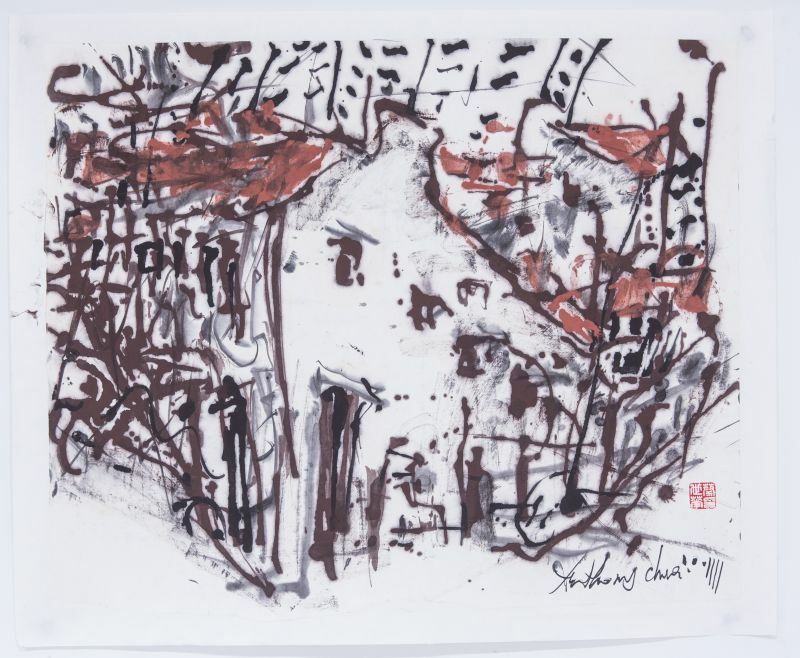 My creative processes are informed by both traditional Chinese ink and modern Western strategies such as mark-making. 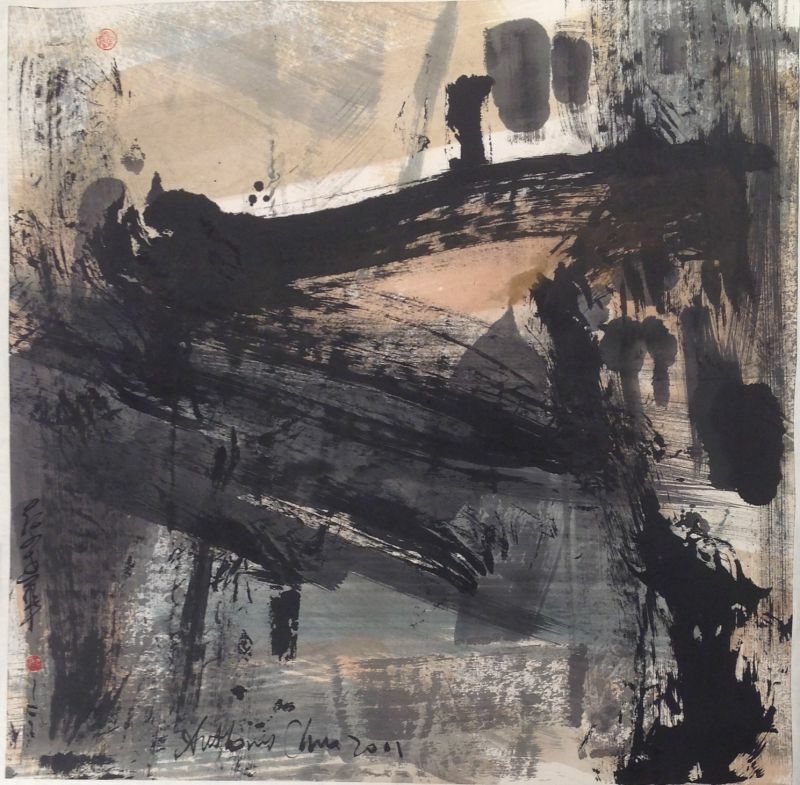 The objective is to enable new artistic surfaces to be created and expressiveness articulated.